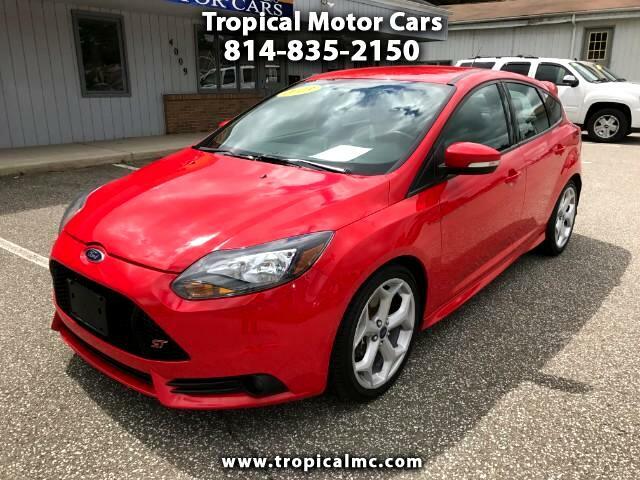 1 Owner bright red, 2013 Ford Focus ST, 2.0L Turbo, 6 speed manual transmission, Microsoft Sync, USB/AUX plug, steering wheel audio and handsfree controls, power windows, locks, and mirrors, push button start, spoiler, and 18 inch alloy wheels. This Focus ST comes with a accident free CarFax history report. Very fun and sporty hatchback.